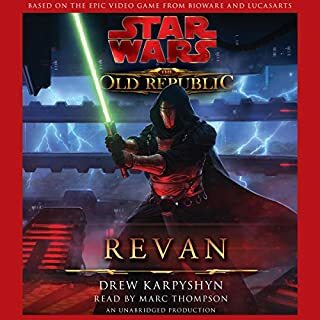 BioWare and LucasArts—creators of the hugely popular Star Wars: Knights of the Old Republic video game—have combined their storytelling talents and cutting-edge technology for an innovative new massively multiplayer online role-playing game that allows players to create their own personal Star Wars adventure 3,500 years before the rise of Darth Vader. 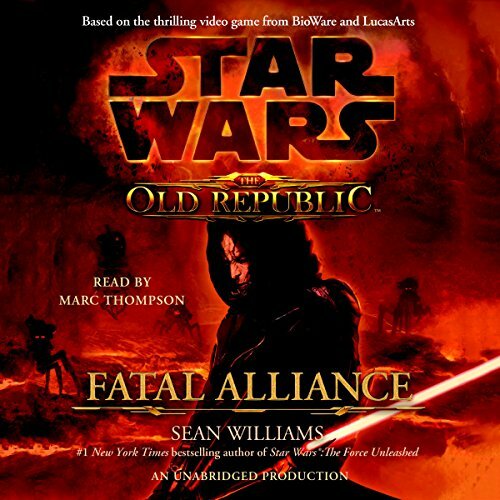 Now, number-one New York Times best-selling author Sean Williams brings the world of the game to life in his latest novel, Star Wars: The Old Republic: Fatal Alliance. Having Jedi and Sith working together, fighting a greater evil makes for great drama. 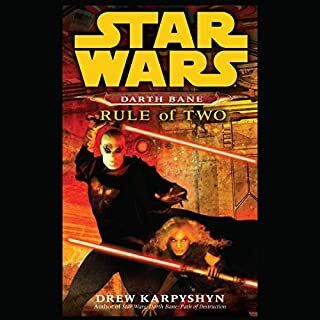 This story pairs a Jedi Padawan with a Sith Lord and his Sith apprentice matched with a Jedi master, showing how the two are quite similar, even though they're mortal enemies. The story is complex and quite interesting, having the mandalorians tied into to the story makes it even more dinamic. The Enemy is quite formidable and a worthy justification to pairing the Sith and Jedi together. I found Fatal Alliance a joy to listen to. 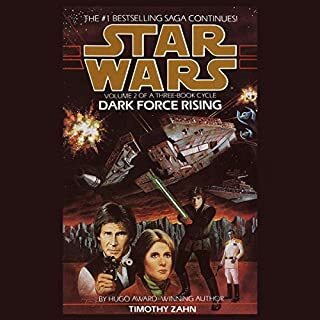 I especially appreciated the author's combination of characters, combat, and modern science fiction tropes that helped create a fascinating tale. 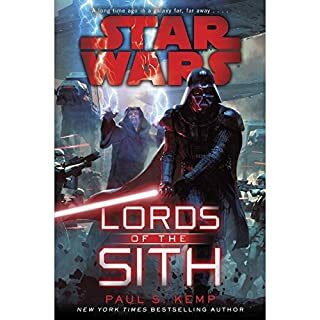 For me, the inclusion of the Jedi and Sith masters and the story surrounding them was an unexpected highlight of the book. The book was full of great moments, interesting characters, and intriguing story arcs throughout. 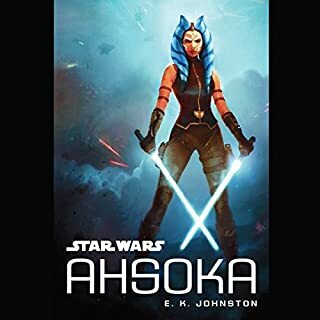 Notable Points: The author did such an great job with the Mandalorian. The character was a great addition and helped keep the action moving. 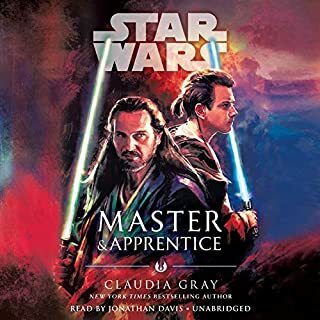 I also enjoyed the Sith arc and was impressed with the way the author portrayed the Master/apprentice relationship. The Jedi/Commando/Smuggler story arc was also a breath of fresh air that allowed for some entertaining interactions. A surprise came from my interest in the story of the imperial spy and the additional dynamic his tale brought to the story. 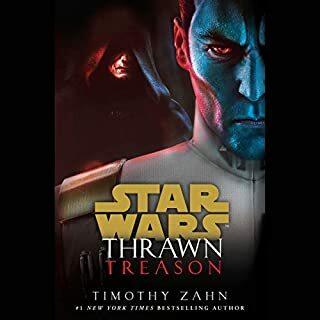 The author's ability to combine so many interesting characters, in addition to a great storyline, was an experience I didn't expect from a Star Wars novel. 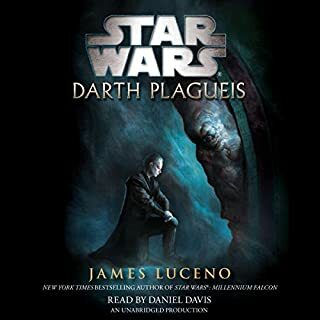 Questionable Points: As the book approached the end, there is a moment when the Sith meets the source of the android threat. 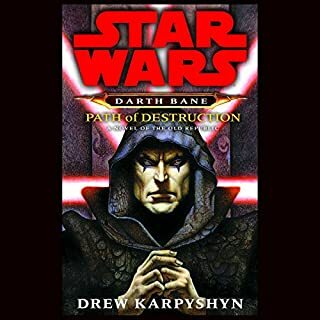 The interaction of the Sith, the source of the android threat, and the Sith's master was written well but felt a bit generic. This portion did not take up much time overall, but was a main plot point and could have been handled with the same unique care other plot points in the book were given. This was pretty much my only disappointment, but only because it was a tad predictable/traditional in execution. Fatal Alliance is a excellent example of what a great science fiction book should be and a wonderful piece of storytelling. This is a wonderfully read Star Wars Book. The production is top notch. The Marc Thompson was fantastic with all the voices and accents. 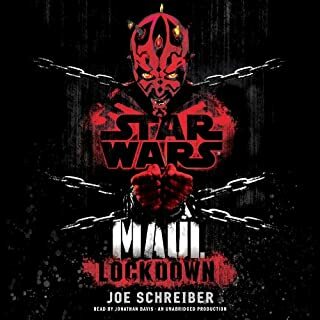 If you love Star Wars check this book out. There are no main characters in this story. I think they are gearing up for the Video MMO game by Bioware. If the production value was not there then this would have been a 3 star. Nice job Marc Thompson. If you're someone that has to experience the entire Star Wars catalog, then you may want to listen to this, otherwise I couldn't really recommend it. It's not terrible, but there are much better sci-fi books. The story seems to drag on most of the time. Even the action sequences seem to get boring after awhile. The core story is interesting enough, as it unfolds kinda like a mystery novel. But unlike a good mystery, the ending didn't have an amazing revelation. Also, the last chapter, what I would consider the prologue, was unnecessarily long. In contrast to the story, Marc Thompson was an excellent reader. Also, the production quality was excellent. Some people might not like all the sound effects, but I thought they really added to the atmosphere of the story. I’d like to talk about a narration well done. Marc Thompson does an exceptional job narrating this story, giving all the characters such distinct voices. And trust me, this book has many characters who speak, so to be able to nail different voices for all of them takes talent. I might have enjoyed his narration more than I enjoyed the story. A few caveats on this audiobook. It is full production, which means there is music and sound effects. 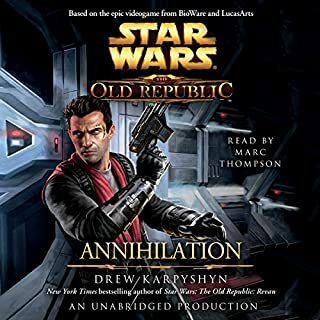 From time to time, and this is a complaint I have for most full production audiobooks, the din in the background can drown out the narrator’s voice. Ifound it particularly distracting when Thompson was speaking over a character that was speaking Huttese to simulate translating. That was distracting. Another thing is that the quality was inconsistent. 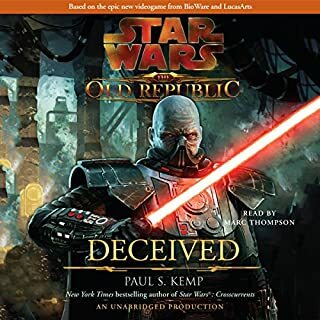 I don’t know if this was an issue with my player or if it’s an issue with the audiobook, but there were parts that were just weak quality. This book asked me to suspend much of my beliefs as far as the plot was concerned. I never really felt the basis of the plot was a strong one. Plots like these stand up in video games because players have to infer much of the details or what’s going on in the background. Often the players are much more imaginative than the writers in this respect. It gets trickier ro explain this plot “on paper” because then the writers are tasked with fleshing out the story with more detail, and sometimes, that can leave readers thinking that maybe they didn’t think through this plot enough, which is partly the case here. There were many ways that a plot like this could’ve gone that would’ve made it more believable, but it wasn’t so bad that I gave up on it. As far as stories go, this one did keep me engaged. It actually turned out better than I was expecting. And admittedly, I did get a kick out of characters from the game being introduced into the story, such as Satele Shan and Watcher Three. The new characters Williams’ introduced weren’t terribly rounded, but they were likable enough that I cared about what happened to them… well, most of them. Also, I enjoyed most of the action sequences and could see them playing out epically in my head. 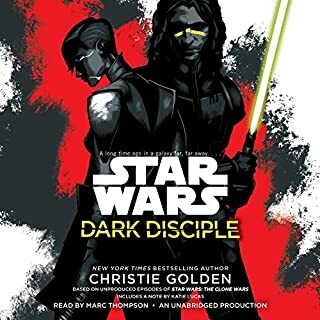 This was an interesting trek through the Star Wars universe, and despite some complaints mainly with the weak (very weak and also partially stupid) plot, I’m actually looking forward to reading more novels to fill in the gaps of this universe because it’s all in good fun. Also, Jet Nebula and Clunker are the MVPs of this novel. The narration was by far the best part of this story. Marc Thompson made an otherwise lazily constructed novel into a passable listen. The character build was decent it the entire structure seemed lazy and poorly written leading to a mix of confusion and boredom. I just can't fully fall into any story that tells the same events over and over from the point of view of everyone involved! Pick a character and write your story convincingly enough to keep your audience attracted. Example: Chapter5 - event occurs and we hear one story representing everyone involved. Chapter 6 - 6 people go off in separate directions to fulfill the plan. We hear the timeline of events from character 1. Chapter 7: we hear the same timeline again from point of view of character 2. Then AGAIN from point of view of character 3. Then AGAIN from character 4. Chapter 7 - we AGAIN hear the SAME timeline from point of view of character 5 then character 6!!!! At this point I'm just exhausted and can't follow anymore! Then all parties get back together and plan for the next encounter that we have to hear about 15 times!!!!! I'm tiring myself just trying to write this! Anyways, the narration is incredible as always, and their were a few interesting characters. Unfortunately, IMHO, the story structure was exhausting and at times confusing and the plot really wasn't worth the struggle to listen. I would suggest passing on this and saving your $16 and 13 hours! I highly recommend this fantastic audio production. It features an engaging story and great characters. The audio production itself is impressive. Marc Thompson does a tremendous job and the sound effects and music provide great support. I hope a sequel is on its way. 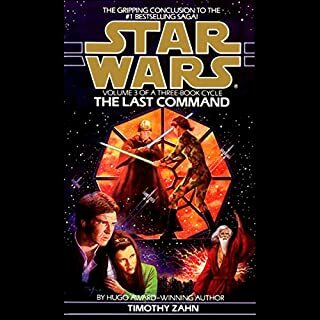 In the meantime I will be looking for other Star Wars titles read by Marc Thompson. I'd like to thank the author, the narrator and the whole audible team for this great experience. I actually own the hard back and it was so good i decided to get the audio version as well. The story starts off a little slow.. of course it has to introduce characters and what not. but when it picks up.. it just keeps going. I love the relationship between the Darth Chratis and Ax as well as the Jedi master and her apprentice. All the main characters in this book are great. They each have their own personality and I love how they relate to each other. Definitely a good read / listen. I can't wait for Sean's next book The Force Unleashed 2 to come out. 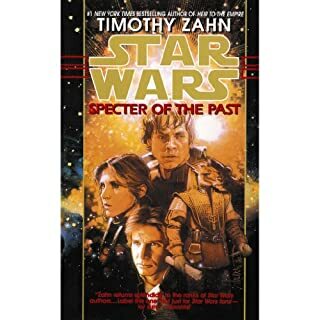 Last note, If you are a Star Wars fan then you should definitely get this book. If you're not a fan...well I think you should pick it up and give it a shot anyways. Marc Thompson does it again! Descent story line. I agree with other reviewers that it starts out slow and picks up toward the end. Marc Thompson does an awesome job of bringing the story to life with multiple voices and the effects are just enough. 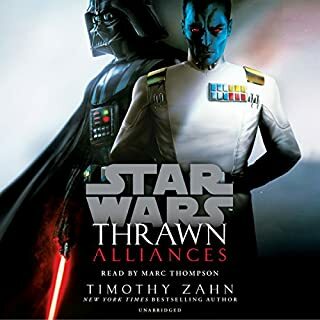 If you've listened to Mr. Thompson's other readings of the Fate of the Jedi and Legacy of the Force series' it will take a little getting used to the slight reuse of the voices from other characters in those series. Overall, an excellent experience and a good use of a credit. 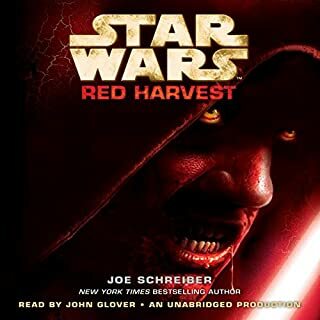 Starts off slow but overall one of the better star wars books to be written in a while. Its good to have a new storyline and new caractors. 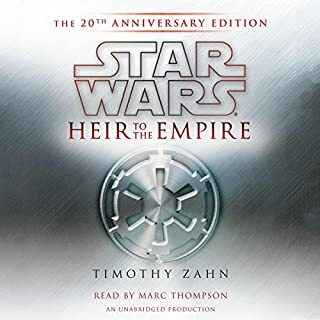 The story is good especially if you are a star wars fan but what really makes it worth listening is Marc Thompson. Along with the special effects and music this was a very enjoyable book because of the way Marc portrays in fact almost makes you believe you are listening to different characters. I am currently listening to this one again right after I just finished it I enjoyed it that much!! !